I started my research into new lutherie in 2005. At the same time, a discussion of new lutherie follows on naturally from the musical repertoire of the last decades. It is clear that the evolution of new lutherie is dependent on the evolution of the language and vice versa. The slow transition from a musical vocabulary composed of elements that are predominantly harmonic to one composed of elements that may be either harmonic or inharmonic is a necessary precondition for the category. New lutherie is the concrete result of a linguistic process and at the same time one of its possible causes. One of the most interesting phenomena is indeed this virtuous circle, this biuniqueness of the relationship between language and instruments. Musical instruments respond to theoretical-linguistic demands, providing the types of sounds that composers have imagined throughout the centuries. 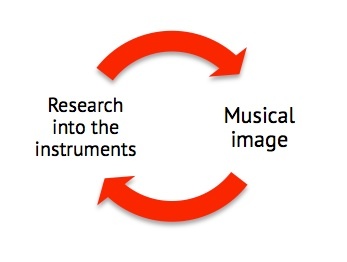 And vice versa, research into instruments enriches composers’ vocabularies with new phonemes and terms. So which instruments does the term ‘new lutherie’ refer to? A definitive answer to this question is perhaps impossible. Every composer, every musicologist, will have his/her own view of the subject. In my book “New lutherie. Orchestration, grammar, aesthetics” (Giovanni Verrando & others, Ed. Suvini Zerboni, 2014) having illustrated the progressive transformation of timbre into a structural parameter, we attempted a definition of the instruments referred to as new lutherie. In that case our categorisation was guided by a more general criterion: we included in new lutherie all instruments capable of producing inharmonic spectra more frequently than traditional acoustic instruments. What seems both inevitable and crucially important, is a more modern, flexible approach to the figure of the musician, and a readiness to see the instrumental families that make up the orchestra and chamber ensemble as interchangeable. These are a few reasons among many others that led me to write new lutherie works. This website includes texts, detailed performance notes on every piece, audio, videos and every information useful to play and analyse this music.